The Nitish Kumar government had in 2016 enacted a stringent anti-liquor law banning manufacture, bottling, distribution, transportation, accumulation, possession, purchase, sale or consumption of liquor in Bihar. Police today seized huge quantity of liquor worth Rs 24.69 lakh and arrested three persons from two districts of Bihar, which is a dry state since April 2016. Police seized 8472 bottles of India Made Foreign Liquor (IMFL) worth Rs 14.69 lakh and arrested one person from Purnea district. Acting on a tip off, a police team led by Baisi station house officer (SHO) searched a truck near Baisi purab chowk in Purnea district and seized 2672 litres of liquor from 8472 bottles of IMFL, Superintendent of Police, Nishant Kumar Tiwary said. The police team arrested a liquor smuggler identified as Deep Narayan Yadav, a resident of Muzaffarpur, the SP said. Stating that this is one of the biggest hauls of liquor seizure in the district, the SP said the liquor was being transported to Muzaffarpur from West Bengal’s Dalkola. In an another case of liquor seizure, a police team seized 95 cartons of foreign liquor worth Rs 10 lakh from a truck in Muzaffarpur district. 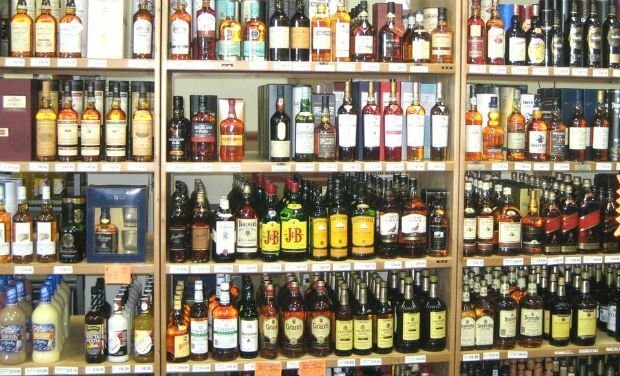 Acting on a tip off, a police team seized 95 cartons of foreign liquor worth Rs 10 lakh from a truck which was searched at a place under Ahiyapur police station of Muzaffarpur district on Muzaffarpur-Darbhanga main road, Superintendent of Police Vivek Kumar said adding that the cartons were hidden under the stock of poultry feed. The truck driver and the cleaner have been arrested, that SP said.